In today’s visually polluted world, the fight over a consumer’s attention is fierce. Brands will do anything to attract your attention and turn you into a buyer. Leveraging your location and browsing history has become crucial to travel and flight comparison sites. Do you know why? Well, that is because they can use this information to personalize travel deals offered to you. 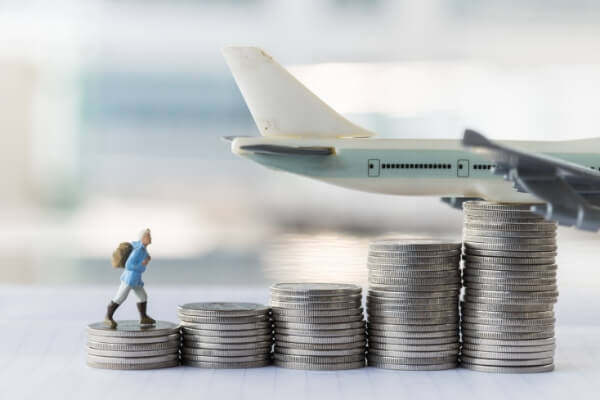 If you are accessing a travel site from a low-income country for example, you might be offered lower prices on flights. If your browsing history reflects repeated searches for flights to a certain location, the prices you are shown might be higher. The location you are buying your flight ticket from can play a crucial role in the deal you get. Retailers are fond of using dynamic pricing when it comes to deciding how much they will charge a customer. Dynamic pricing, in essence, enables online retailers to charge a different price depending on how much they believe a user is willing to spend, the type of device used, and zip code. Whether you are traveling for business or leisure, you want to find a flight deal that will not hurt your pocket. In many cases, however, this can be a very challenging feat to overcome. If you search through many travel comparison sites, the process can not only be time-consuming and rigorous, but the sites will see you have a high intention to buy and will increase the prices they show you. The more you search, the more you’ll see prices fluctuating. So, how exactly does this work? Let’s take a closer look. IP Address—The IP address (aka Internet Protocol) is known to be the easiest way to detect a user’s location. And since flight comparison sites are able to detect your IP address, they can serve you with flight prices according to your location with ease. Mobile Tracking—Your mobile device (e.g. smartphone or tablet) comes with a GPS feature that can pinpoint your location. If you are fond of browsing flight comparison sites from your mobile device, then you are likely to see prices unique to your location. WiFi—Have you been giving websites permission? If so, then your Wi-Fi can be used to detect your exact location. When flight comparison sites quote air tickets, they consider a few factors. They include, but are not limited to, location, currency, and point of sale. This means that customers from different countries, or using different currencies, can see varying prices for the same travel date, destination, or airline. Interestingly, there is a way for you to get the best flight deals regardless of your location. You can even do this without the need to spend a good amount of time scouring through different flight comparison sites for a good deal. All you have to do is hide your location and browsing history. "But how am I going to do that?" Good question—the answer is through a VPN. How Can a VPN Help You Save Money On Flights? Before you start using a VPN to look for the best flight deals, you need to understand how it works and the tools you need. So, what exactly is a VPN? VPN simply stands for Virtual Private Network. In essence, it gives you a private connection to the internet. But there is more to it. For starters, a VPN can hide your browsing history and/or online activities. In addition, it can hide your true location from anyone or anything trying to know it. So how does a VPN do this? How is it able to hide this information altogether? Technically, it uses software that is capable of encrypting data before anyone (e.g. hackers, government, ISP, etc.) can see it. Let’s say you are accessing a site using a VPN. The website will rather note the VPN and its location, not your actual place or residence. The VPN also keeps your online activities hidden from prying eyes that can access your network. Not only does a VPN keep your browsing activities safe, allowing you to browse the internet or log in to your personal accounts without the worry of someone stealing your personal data and other sensitive information, but it allows you to get better prices on your next flight booking. With its capabilities, it is no wonder why so many travelers are using a VPN. By using a VPN, travel sites will think you are located elsewhere in the world and provide you with prices targeted for that location. If you choose a location deemed as lower priced by the travel site, you’ll enjoy great savings. Now that you already know what a VPN is and how it actually works, it is time to see its wonders. in New York sometime in August, with a departure date on the 14th and return date on the 21st. The month of August is known to be peak season for traveling, so prices can be really high. instead of using the United States, you can browse Kayak.com with an IP address set to a server in India. You’ll be surprised at how huge the price difference can be. there is a significant change in the price ($72). How Can You Save Money On Flight Tickets Using a VPN? Open a private or incognito browser window, so you can start shopping for flight deals. You may find the need to perform a few searchers in order to chance upon the best flight deal. Also, we recommend searching without a VPN, so you can better compare prices. Believe it or not, this is not one of those too good to be true scenarios. There are no risks involved in using a VPN to search for and book flights. You can always use a VPN to save money on your flights. In fact, airlines and travel sites do not have a problem with this. Since these sites quote prices for customers based on their different geographical locations, you can take advantage of these differences by browsing anonymously. By using a VPN to access these websites, it is always possible for you to make significant savings on your flight tickets. If you’re looking for a good VPN to save you money on flights, check out our best VPNs list. Read on our next guide to learn how using a VPN can save you money on hotels.